This new ECM release oozes sophistication and class, which given that it is both a crossover album and a sequel is quite an achievement. 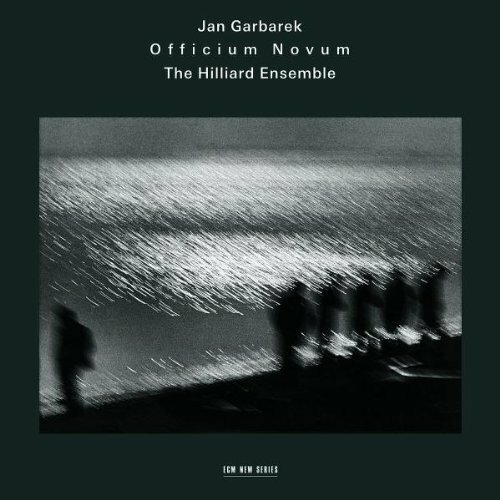 It is the third collaboration between renaissance specialists The Hilliard Ensemble and Norwegian saxophonist Jan Garbarek. Their first, 'Officium' of 1994 was a runaway hit, while their second 'Mnemosyne' applied the sax and choir concept to more esoteric repertoire. As the title suggests, 'Officium Novum' is a return to the more accessible sounds of the first album, with liturgical polyphony overlaid with sax improvisation. 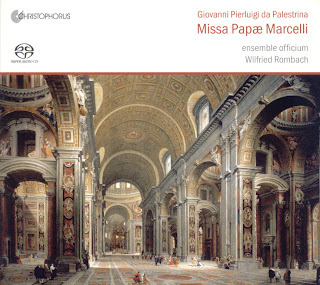 East meets West is the concept behind the album, so as well as Pérotin and Spanish folk-song we also get Arvo Pärt, Komitas and Byzantine chant. These additions to the repertoire align the concept even more closely to the core ECM ethos, and you'll find plenty of both Pärt and Komitas elsewhere in the company's catalogue. To be honest, though, the choice of choral repertoire is largely irrelevant to this concept. Jan Garbarek is the star of the show, a fact emphasised both by the proportion of running time he spends playing (about 95% at a conservative estimate) and his positioning in the recording environment. The recording venue is a Benedictine monastery up in the Austrian Alps. The chapel acoustic adds a lush layer of resonance to the sax sound. It's a clean reverb, and it doesn't really get in the way. But way does it mean? I suspect the idea is to create a subconscious sense of sacred meets profane, with the ungodly saxophone elevated through the acoustical environment of the church. When I hear this, my thoughts turn to A Touch of Frost, with David Jason lurking around in the shadows. That's an unfortunate connection, but it's one that's difficult to shake off. The performances are to the high standards that you'd expect from both choir and soloist. There is an impressive range of sax sounds, and I'm particularly impressed by his seemingly infinite gradation of articulations. By comparison, the choir sound quite neutral. That's the idea I guess, but it strikes me as a bit of a waste of talent, especially from a group who don't even break into a sweat with Gesualdo. The packaging is as elegant as any from ECM, its visual theme courtesy of the high contrast night-time landscape photography of the late Mario Giacomelli. Unusually though, the information inside is difficult to interpret. The playlist takes two pages, which are separated by two other pages containing a photograph and the performer credits. There are no track numbers on the playlist, so you end up counting your way through all the names to work out where you are. And the recording location is given as Propostei St. Gerold, by which I assume they mean Propstei St. Gerold. Minor quibbles only, but they stand out from the ECM label's usual flawless perfectionism. No doubt this disc is going to sell like hotcakes. There are probably many copies of 'Officium' out there that have been spun on a regular (probably late-night) basis for the last 16 years. This follow-up does everything a sequel should do. It is very much in the spirit of its predecessor, and while it adds a few more ideas in, it never strays far from the original concept. If your primary interests are renaissance polyphony or the superior skills of the Hilliard Ensemble, give this one a miss. On the other hand, if you are on the lookout for some imaginative sax playing, some intelligent ambient music, or simply the latest musical adventure with Jan Garbarek, go for it. As with volume 1 of the Artis Quartet’s survey of Zemlinsky, volume two charts times of turmoil and change. His 3rd and 4th Quartets are both considerably more post-Romantic than his 1st or 2nd, and even the stylistic progression between them is remarkable. Zemlinsky was not a particularly prodigious composer, and these are both mature works, despite their seemingly low opus numbers. And both deal with issues of grief and death. The death in the case of the 3rd Quartet was of the composer’s sister, Mathilde. The music takes on that particularly Viennese neurosis through rapid changes of pace and focus. It’s apparently conventional four-movement structure hides a more complex micro-level of more chaotic ordering. The textures are often reduced to just a single instrument, but even then the music retains an emotional intensity. As in the earlier quartets, glissandos make regular appearances, and seem ill-matched to the otherwise very precise contrapuntal textures. And for all the chopping and changing, the music maintains a stylistic distance from the Second Viennese School. There is nothing here of Schoenberg’s klangfarbe or Webern’s concision. Alban Berg is the closest of the serialists to this music, so it is fitting that the 4th Quartet was written in his memory. Unlike the 3rd, the 4th has a freer six-movement structure, a conscious reference no doubt to the Lyric Suite. If there is any further homage to Berg in this music, it is through the reliance on melodic flow, but stylistically that is a tenuous link. Texturally, this is the barest of Zemlinsky’s quartets. As with the 3rd, much of the music involves individual players of duets. But the difference here is that you feel the solitude. 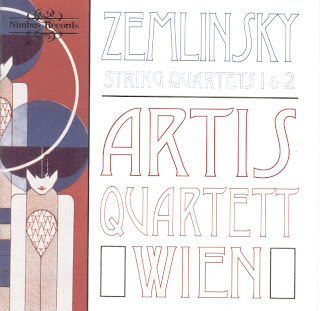 The work has all the rhythmic and melodic variety of Zemlinsky’s earlier Romanticism, but it is clearly music of a later and more desperate time. 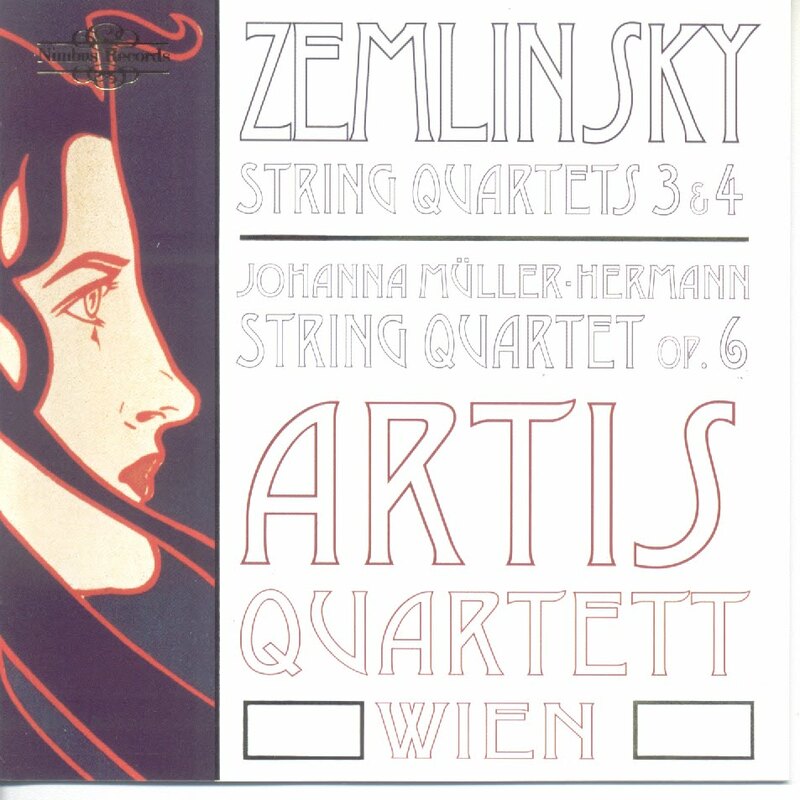 If Johanna Müller-Hermann’s 6th Quartet sounds naive in comparison, it is not necessarily because it is the work of a lesser talent, nor that it was written by a woman (perish the thought), but rather that it was written in 1908, before the artistic and political turmoils that colour Zemlinsky’s later work. Müller-Hermann was a pupil of Zemlinsky, and like him, she was a composer who put melody first. And what magnificent melodies they are! You may think of Elgar or possibly Delius when listening to this, the way that the music conforms to the precepts of the form is closer, perhaps, to the former composer. But this is music from well within the Austro-German tradition. The fact it can conform to the requirements of that tradition without displaying any particular angst about it is little short of a miracle. Perhaps this is where the composer’s gender comes into play. This is the premiere recording of the work; it is quite a find. 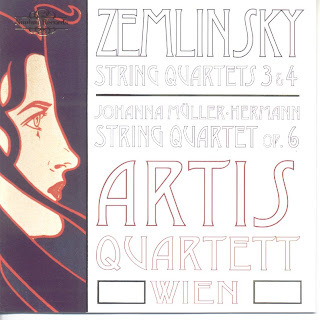 The Artis Quartet again do Zemlinsky proud, and extend their passionate but precise artistry to the music of his pupil. There is a certain austerity to their playing, and if anything this is even more appropriate to Zemlinsky’s later quartets than his earlier. 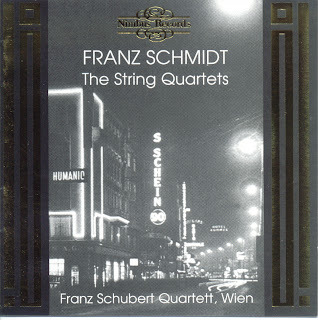 This isn’t Brahms after all, and the Artis Quartet locate the music squarely in the 20th century. They achieve an impressive feat, especially in the Müller-Hermann, of playing in a strict, disciplined style – narrow vibrato, and little rubato – and yet creating a sound world that is both passionate and involving. As with volume 1, I have nothing but praise for the sound quality and the packaging. 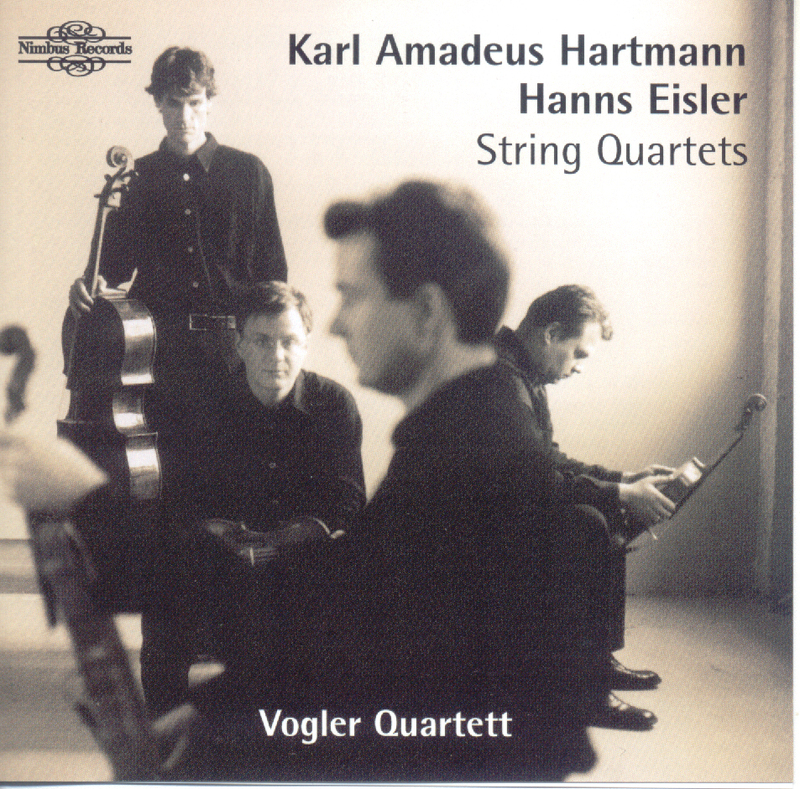 I recommended that disc to adventurous Brahms fans. 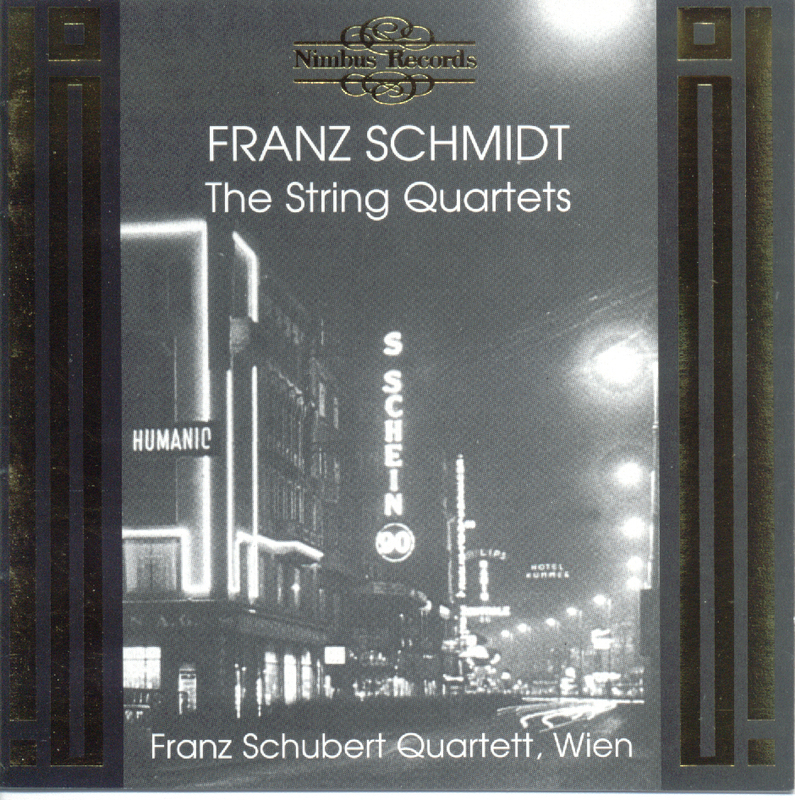 This one might be more for the Webern/Berg brigade, but anyone with an interest in slightly tangential string quartet repertoire should find much of interest here. This CD delivers far more than it promises. Dutilleux is not, after all, a name we normally associate with the piano. It turns out that he has been writing piano works, large and small, at a slow but steady rate throughout his long career, and they add up to a diverse and fascinating programme. The works are ordered along roughly chronological lines, which in the case of many composers would be a dangerous strategy, forcing us to wade through the juvenalia before we got onto anything worthwhile. But that's not how Dutilleux's career panned out. It is a curious fact that the French musical establishment has always considered Dutilleux at the equal of his contemporary Messiaen, even though the rest of the world considers Messiaen the timeless genius and Dutilleux a more parochial figure. The reason may be the sheer quality of many of Dutilleux's earliest works. It is no disservice to the composer's later output to describe his early Sonate (1946-8) as probably his greatest contribution to the instrument's repertoire. Unless you count the preludes, this is the only genre piece on the disc, and while it is in a rigorous three movement form, it wears that rigour lightly. And the sheer variety of textures, harmonies and moods in the piece is incredible, especially for a composer barely into his 30s. Of the later works, the most significant is 'Figures de résonances' (1970-76). 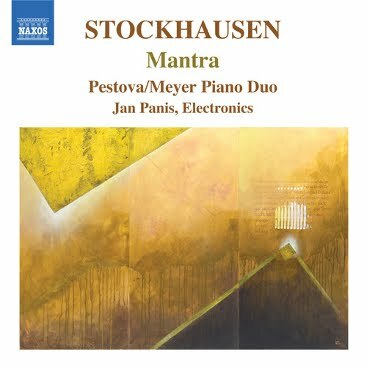 In this two piano composition (Ya-Fei Chuang the second pianist) we find the composer keeping up with the ideas of his younger colleagues, distributing isolated, inscrutable chords between the two players in the manner of Boulez' pointillism or the spectralism of Grisey and Murail. But progressive tendencies never involve aggression or harsh dissonance where Dutilleux is involved, and even in these more sporadic textures, there is a lyricism that allows the four movements to cohere, both internally and with each other. Two early works, movements from 'Au gré des ondes' and 'Blackbird' are kept back until later in the programme, and here it becomes apparent that there is some juvenalia floating about that would sit uneasily on the front of the playlist. Not that there is anything wrong with either work, but they have clearly been included for the sake of completeness rather than on their own slender merits. 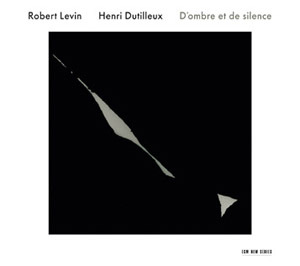 Performances and recording are of the highest standard, as one would expect from the Levin and ECM. The piano has a warm resonant tone, and when the composer specifies extended use of the sustain pedal, as he regularly does, the extended harmonies wash around inside the piano and across the stereo array wonderfully. This is the first Dutilleux release from ECM, and to be honest it would be quite difficult to think of anything else from his output that would fit as naturally as this into the label's ethos, although the Violin and Cello Concertos could be candidates. 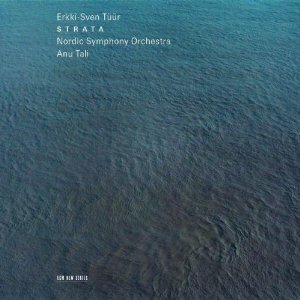 But the disc goes to show just how versatile the ECM model is, and how well this music responds to the exceptional production standards that the company have made their norm. It is certainly a disc for Dutilleux fans this one, but also for those with a taste for Ravel or for early Prokofiev. And even Messiaen and Boulez devotees should get something from it. Dutilleux is a composer who has remained true to himself through years of incredible change in the musical aesthetics of his country. And despite that singular focus, he hasn't isolated himself from the changes either. The result in his piano music is a journal of one composer's journey through the 20th century, always finely crafted, often impressively adventurous, and never parochial. I can’t help the feeling the Deutsche Grammaphon have been keeping their young new signing Alice Sara Ott from us. For reasons best known to themselves, the label released this, her debut disc, in a number of countries in 2008, but held back in the UK until she had a second recording under her belt - of Chopin waltzes (DGG 00289 477 8095). The double-whammy debut approach seems to have backfired a little, with many critics finding the Chopin too dry and emotionless and then projecting those criticisms, albeit in a milder form, onto the Liszt. But whatever the machinations by which this CD has reached us, it is a remarkable debut. Let’s not forget that the idea of a young pianist debuting on DG at all is a fairly recent innovation; it wasn’t long ago that their roster was made up exclusively of senior figures of piano royalty. And this newfound spirit of innovation stretches to the repertoire too. 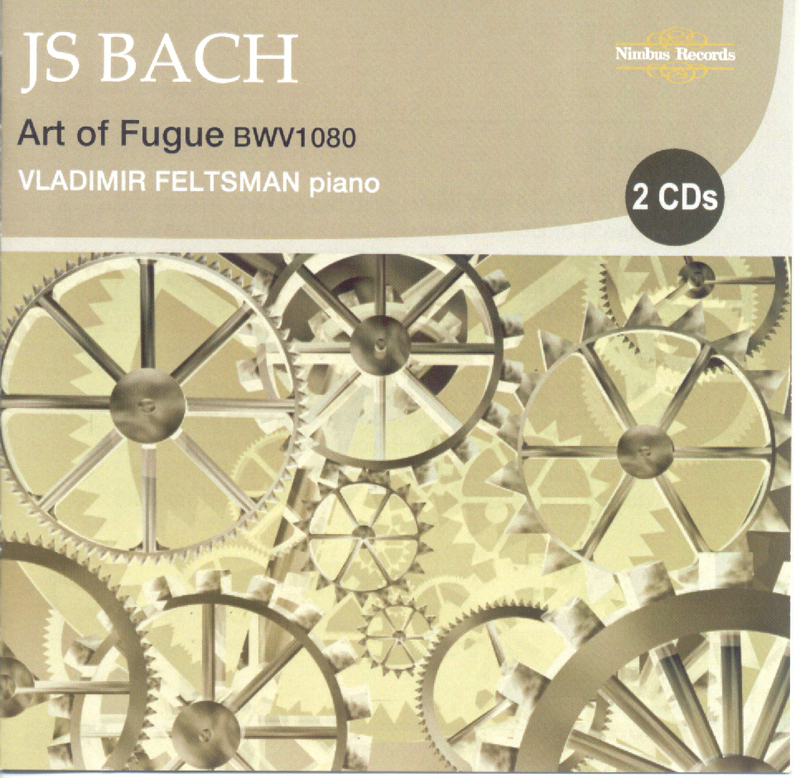 Most pianists’ debut discs consist of a mixed programme, where the major work is almost invariably Rachmaninov. Liszt’s Transcendental Etudes are a daring choice from a number of perspectives. In terms of technical difficulty, they trump pretty much anything by Rachmaninov. They also call for more interpretive input from the pianist, more poetry, more...well, in a word, transcendence. 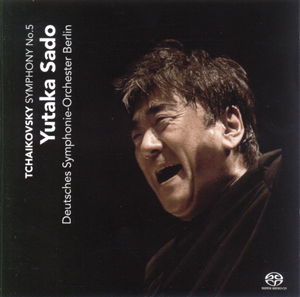 Listening to the disc, I can understand why some have found Ott’s Chopin wanting. Her technical skill is mind-blowing, and it is clear that control is a fundamental dimension to her pianistic persona. Her fingers are always in the right place at the right time, and her touch is both evenly graduated and crystal clear. Personally, I consider all these attributes to be sterling pianistic virtues, but I can understand how Chopin could sound sterile to some ears when played like this. Liszt, of course, is a different story. His poetry is more intrinsic, more integral to his virtuosic demands. In fact, the Transcendental Etudes are a very sensible choice for introducing a pianist to the world stage as they amount to a compendium of the moods, textures and styles current in the early history of the modern piano. Surprisingly, perhaps, given her delicate frame, Ott excels in the louder, heavier movements, the Preludio no.1, for example, and Mazeppa no.4. There is a sheer physical force behind her playing in these movements, which when combined with her technical precision make for an aurally arresting effect. And her confidence belies her age (she was 18/19 when this was recorded), holding back in the build-up to the main Mazeppa theme in a way that speaks of a deep trust in her own musical instincts. She has an elegant legato, even in chronically note-heavy passages such as in the opening of Feux follets, where she finds a lightness that few of her seniors could match. The control that makes the dramatic passages work can turn into undue restraint in the quieter ones. No. 3 Paysage has all the clarity and translucence of its more rowdy neighbours, but the precision of the phrasing and dynamic shaping make the result a little foursquare. And again with the 9th Ricordanza, it’s evenly arpeggiated opening chords speak of immaculate precision, but also of a reluctance to let go and allow the music to sing. The last etude Chasse-neige is the exception among the quieter numbers. The clarity with which the legato melody is articulated across the top of the complex accompaniment is ideal. It is a great way to close both the set and the recording. Liszt balances his technical and lyrical demands in a way that elegantly culminates a set that has veered between the two. And that middle ground between the dramatic and the intimate is exactly where Ott excels, her even touch, precisely graduated dynamics and fluid legato, all supported by some real muscle in the left hand bass. As I mentioned, her second disc has met with mixed reviews, but her third is going to include Liszt’s 1st Concerto, and if she plays it like this, it could be something really special. 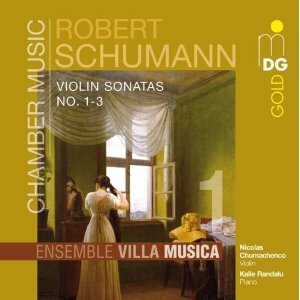 Nicolas Chumachenco and Kalle Randalu make a convincing case for a group of Schumann's chamber works that are all too often overlooked. The composer's natural gift for melody is everywhere apparent in these sonatas, especially when presented with such lyrical fluency as here. But there is more to these works, the range of accompanying textures, of colours and moods, which can easily be sidelines in an exclusively melodic reading. But this is where the present players really excel, creating engagement and a unique atmosphere for every section of each of the works. Chumachenco has a rich violin tone, the best of which is in the lower register. Fortunately, Schumann regularly visits those lower registers, and the resulting warmth and intensity is satisfying indeed. There are also one or two points where the music moves to double stopping in the lower register, usually just for a note or two. Again, the sheer intensity of the timbre is wonderful, and all the more so for the composer's discretion in using the effect so infrequently. Higher up, Chumachenco diversifies his tone more. He again has a richness that he calls into play for the more sweeping melodies, but he also has a lighter, more nimble sound, which is ideal for the faster passage work. Neither player takes the phrasing of these works for granted. Phrases and sections are often framed with slow, quiet introductions and conclusions. In lesser hands, such extreme phrasing could sound clumsy and exaggerated, but the sheer musicality of these players, combined with the rich, sustaining violin tone, ensures the credibility of every musical decision. The ordering of the sonatas is unusual. Perhaps it is just a matter of personal taste, but to my opinion the Op.105 Sonata is the best of them, not to mention the most memorable. This combined with the fact it was the earliest written would suggest it as the ideal candidate for the opening spot. That is where you'll find it on most recordings, but it is shunted to second here. However you organise the works, there is little doubt that the WoO2 qualifies as 'Sonata No.3' and it is duly afforded the final position on the recording. This posthumous work is the most musically diverse of the three. or so runs modern opinion. In fact, it was only first published in 1956 and has suffered from a reputation for being long and incoherent. To the credit of the present performers, there is no effort made here to rescue it from those allegations, rather they exploit the wide range of emotions and moods. Yet again, the rich violin is often the saving grace, and long melodic lines that could so easily sound rambling and directionless here become meditative and satisfyingly self-contained. As you'd expect from MDG, the audio is to a high standard. The make of piano is not stated, but it has a fairly soft, almost 19th century, tone. Magnificently played too, Kalle Randalu managing to cleanly articulate Schumann's complex accompaniments without ever intruding too far into the foreground. Given the label's commitment to undoctored sound, this must surely be the result of the pianist's sensibility to balance rather than to any post-production manipulation. Impressive Schumann all round then. If you've heard other recordings of these works, you may find that Chumachenco and Randalu linger more than other players. They give the impression that they are often happy just to enjoy the moment rather than worrying about large-scale structural concerns. Some may read that as a lack of structural insight. To me, though, the sheer elegance of the violin sound absolves all. Schumann's formal logic isn't up to its best in these works anyway, so why not just enjoy the many passing moments of beauty? Very Russian Bach, this. The touch is firm and deliberate throughout, the interpretation is lively but founded on a strong intellectual basis, and the structure of each movement is articulated through slow dynamic changes and long, interconnected phrases that imbue an almost narrative quality. The series also includes Feltsman’s Goldberg Variations, a recording which caused some controversy on its initial release for the liberties he had taken with the score. His Art of Fugue is less contentious in that respect, but it’s still the sort of recording that could get period performance types hot under the collar. 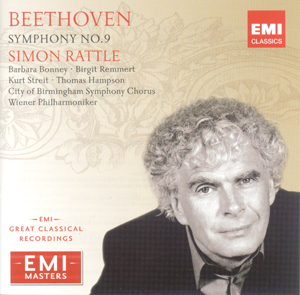 It is performed on a grand piano in a generous acoustic, no effort is made to imitate the performance practice of the 18th century harpsichord (apart from the occasional hesitation before accented downbeats), and a strong sense of internal drama and turmoil is injected into many of the more expansive contrapuncti. Given that this is an idiosyncratic performance of Bach for American audiences, comparisons with Glenn Gould seem appropriate. Like Gould, Feltsman often starts from an emotional ground zero by presenting the fugue theme quiet, straight and drained of all colour. The opening of Contrapunctus 1 is a case in point, pianissimo with even, light articulation. But the way that this, and indeed all the movements, unfolds is quite different to Gould. It’s certainly lyrical, but there is little in the way of rubato and the counterpoint is played evenly, each entry left to speak for itself. It’s intelligently structured like Gould, and achieves a similar unity of intent across the span of each of the movements. But there’s no angst, none of that eternal questing for Bach’s inner truth that makes Glenn Gould’s recordings so infuriatingly addictive. Feltsman is a man at peace with the music, he has established a coherent interpretation, which he offers without any apparent distress on his own part. It’s not that the performance is uncommitted of dispassionate; rather it is the product of a much more comfortable (and probably healthier) relationship between performer and composer. The articulation of the counterpoint is exemplary throughout. Feltsman achieves variety through a number of technical means, but his articulation stays more-or-less even. It is a controlled, even semi-legato, which allows the voice leading to shine through any texture or dynamic. That Russian sense of deliberate, focussed interpretation does not mean heavy handed performance. So, for example, Contrapuncti 7 and 9 have a fleet footed delicacy, again with that even touch and strong sense of purpose, but neither of these weigh the music down.